It was a cold start this morning but with the river at an ideal height conditions were favourable and prospects looked good. 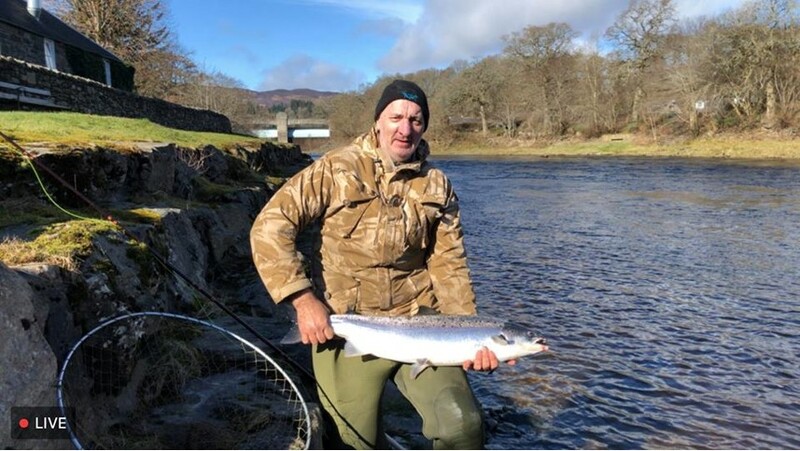 It turned out to be something of a red letter day for visiting angler Brian Lindsay who caught his first ever salmon on the fly – a superb fish of 20lbs from Port-na-Craig bank this morning. By all accounts the fish was in great condition and put up a tremendous fight. Well done - and hopefully the first of many. Should be more to come this week. Success - first fish on the fly - Brian Lindsay with 20lber on Port-na-Craig bank this morning - well done!